Considering a family reunion? Consider Cedar Creek Campground. We are perfectly located — near major airports, in the New York, New Jersey, Philadelphia area — and that makes it convenient for everyone in your extended family. Our group camping areas are big, open and roomy. And with all the amenities Cedar Creek Campground offers, everyone will be entertained — from basketball, to swimming to paddling down the Cedar Creek and more! 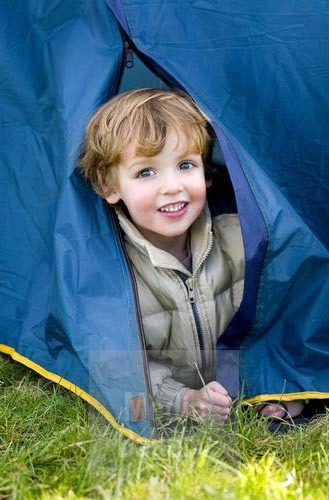 And if Auntie and Uncle So and So find outdoors “icky” – there’s always someone in the family – we have cabins that will keep them smiling. We have everything you need for an unforgettable family reunion. We’ve lost count of all the scouting troops we’ve hosted over the years! Our roomy open group camping areas make group camping with scouts easy to set up and our full host of amenities keeps your scouts busy! Paddling the Cedar Creek or hiking the Barnegat Branch trail, your scouts will get a great dose of the outdoors! With marshmallow roasts, swimming, basketball and so much more you can count on Cedar Creek Campground to give your troop a memorable scouting outing. Watch Your Team Spirit Soar! Nothing builds team spirit like a weekend at Cedar Creek Campground. 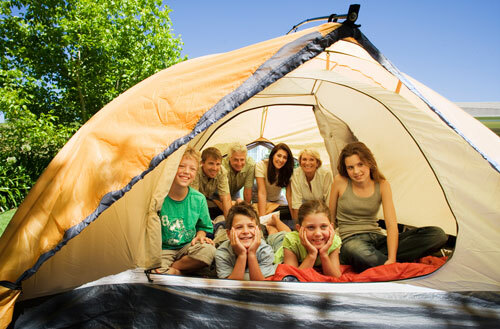 Our roomy open group camping areas make group camping with your team easy to set up and our full host of amenities keeps your team members busy! 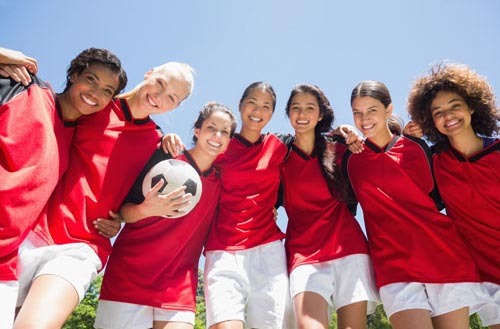 No matter the sport: track & field, soccer, field hockey, baseball, softball, fencing, swimming, basketball, they’ll enjoy the time they spend together off the field and off the court. Paddling the Cedar Creek or hiking the Barnegat Branch trail, your team will experience new and different challenges and make new connections with their teammates. 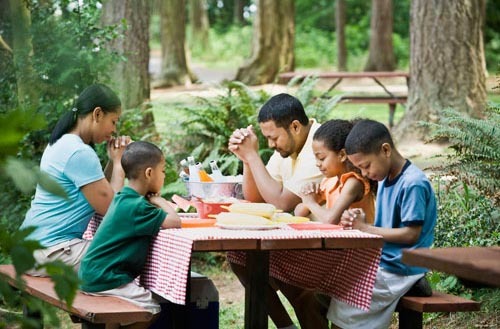 Cedar Creek Campground has hosted dozens of religious groups over our four decades — from every faith imaginable — all are welcome here at our family campground. Our roomy, open group camping areas make group camping with your group easy and our full host of amenities keeps your group members busy! Cedar Creek Campground is a great place to refresh your group members. Whether challenging your group’s cooperation skills in canoes on Cedar Creek or enjoying a relaxing bike ride down the Barnegat Branch Trail, your group will return home reinvigorated for new challenges. We can offer day visit packages for your vacation Bible school program. 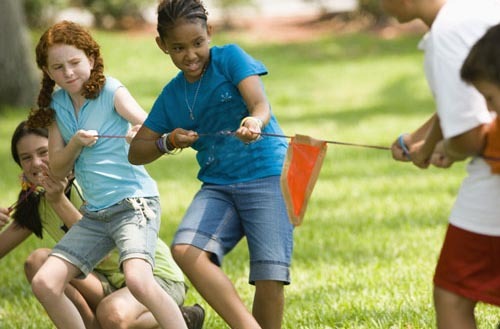 Experience the power of team building at Cedar Creek Campground! We really enjoy when a group of co-workers arrives at Cedar Creek after a long week at work. We watch their transformation from tired and grumpy to happy and relaxed. Cedar Creek Campground provides the perfect locale for business groups. Our roomy, open group camping areas make group camping with your group easy and our full host of amenities keeps your group members busy! Cedar Creek Campground is a great place to refresh your employees. Whether challenging their cooperation skills in canoes on the Cedar Creek or enjoying a relaxing bike ride down the Barnegat Branch Trail, your employees will return home reinvigorated for new challenges. Day Camps are discovering our Cedar Creek Campground and having a ball! We’ve watched as groups have a blast paddling down Cedar Creek — we have enough equipment to support large groups of kids and counselors. Spending the day on Cedar Creek is an exciting and wholesome break from their routine. Birthday Party Blues? 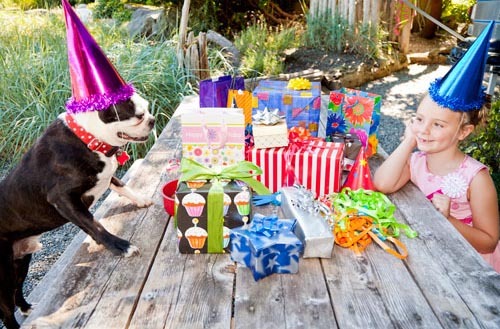 Host Your Next Party at Cedar Creek Campground!